This next card has been made using Endless Wishes Item 136829 $27.95. 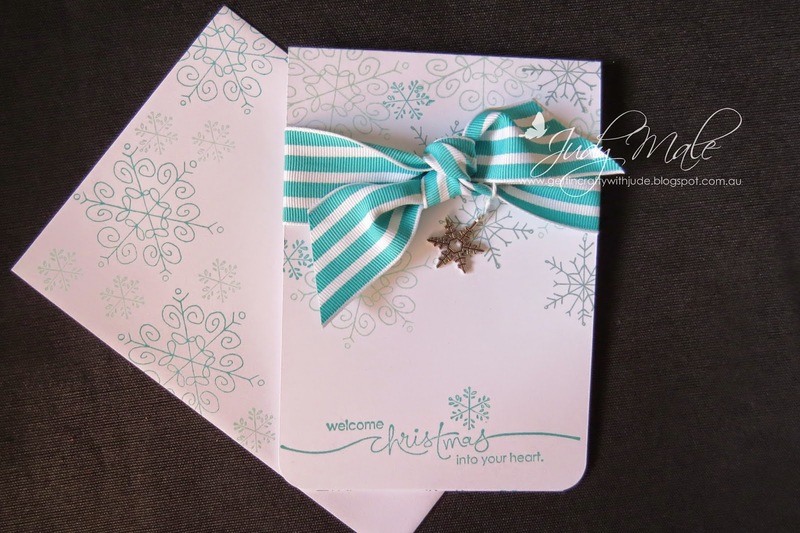 Another gorgeous photopolymer stamp set with lots of words and these snowflakes. I used the Grosgrain Ribbon in Bermuda Bay Item 134551 $15.95 for 9.1mtrs and I added an 'all is calm snowflake' embellishment to finish it off. Item 137383 $11.95 for 20 pieces. The senitment is from retired stock Heard from the Heart but it suited the card . This last one is a combination of products. Stars Framelits collection Item 133723 $42.95 to cut out the two larger stars and the small star punch from the Itty Bitty Accents Punch Pack Item 133787 $29.95. 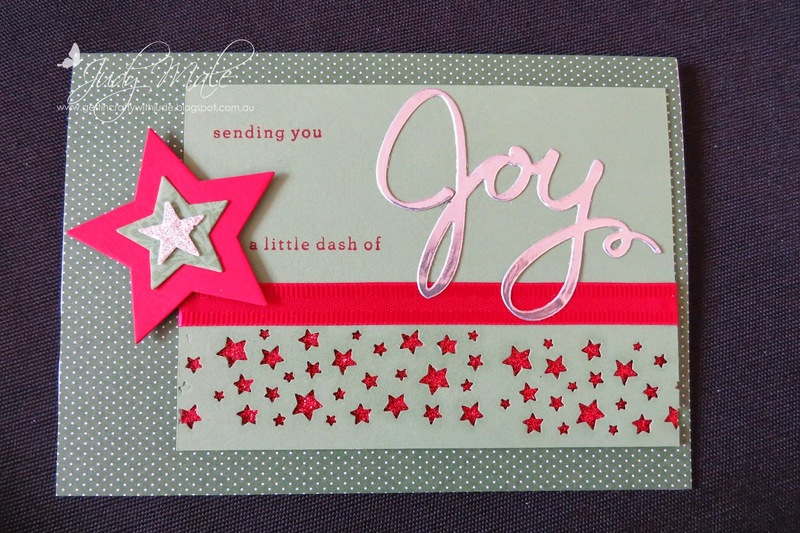 The Joy sentiment is from the Wonderful Wreaths Framelits in our silver foil cardstock. sentiments are from Endless Wishes Stamp Set Item 136829 $27.95 These are also photopolymer stamps, so awesome because you can see to place them exactly where you want them! The stars border is a new border punch called Confetti Stars Punch Item 135861 and I placed some red glimmer paper behind for some extra glimmery effect. 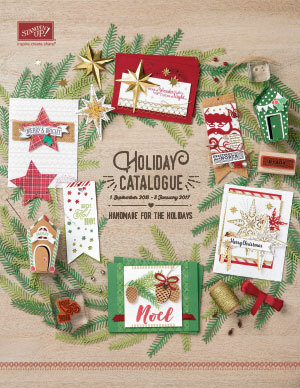 And lastly the base is from the Trim The Tree Designer Series Paper Stack Item135824 $11.95 this stack of assorted papers are 11.4cm x 16.5cm, just right for your card fronts.